What is the point of sending your kid to a conservative religious college? For almost a century now, many conservative evangelical families have worried that if they didn’t, liberal or secular colleges would steal the faith of their Christian children. New research data suggest that those fears might no longer be realistic. But the new study won’t reassure evangelical parents or college administrators. As I’m arguing in my new book about the history of evangelical higher education [shameless plug: Pre-orders available now! 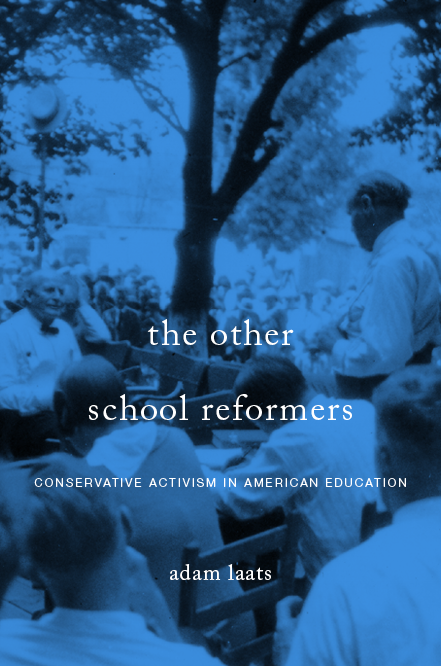 ], a leading reason evangelicals established their own network of dissenting colleges and universities in the 1920s was the fear that mainstream college robbed children of their faith. she came home with her faith shattered. She laughed at God and the old time religion. She broke the hearts of her father and mother. They wept over her. They prayed over her. It availed nothing. At last they chided her. She rushed upstairs, stood in front of a mirror, took a gun and blew out her brains. Never fear, Jones said. Though mainstream colleges had gone to the dogs, new fundamentalist schools like his could be trusted to protect children’s faith in the crucial college years. stumbling blocks in . . . children’s way that could lead them to doubt and ultimately disbelieve the Scriptures. In every century the evangelical assumption has been the same: The college years are a uniquely important and a uniquely dangerous time for young people. If children are raised in conservative evangelical homes, skeptical college professors might turn them away from their family faith. Seventy-nine percent of young adults age 18 to 29 who have become religiously unaffiliated report having made this decision during their adolescent and teen years. But this was not always the case. Those age 65 or older who left their childhood religion reported doing so much later: Only 38 percent who reported leaving their religion did so during their childhood years. The majority (63 percent) of unaffiliated senior citizens left during their college and post-college years. In other words, the college years USED TO be a vital time, a time of choosing to leave or stay with one’s childhood religion. It seems like that’s not really true today. Does this mean that conservative evangelical colleges have become obsolete? If one main purpose of those schools is to nurture and protect evangelical faith, it seems as if they are not useful. Rather, if we accept this data, it would seem that evangelicals should focus on K-12 schools instead. And we should note that evangelical college leaders might look at this data in a more optimistic way. According to the PRRI study, evangelical Protestants are losing adherents at a much lower rate than other American Christian groups. Evangelicalism is still losing young people, that is, but much slower than Catholicism or “mainline” Protestantism. It could be argued that evangelical colleges have helped stem the anti-religious tide among evangelical young people. Still and all, I’m glad I’m not president of an evangelical college. If I were, I would wonder what to tell parents of potential students. If I couldn’t promise to help protect students’ faith, I wouldn’t have much else to talk about. When Should We Punch Nazis? If 79% of young adults who have become religiously unaffiliated made that decision during their adolescent and teen years, presumably it was due to *some* influence outside the home. If kids losing their faith before they get to college is a new thing, I would probably count the internet as a factor. It doesn’t follow that liberal colleges (insofar as that’s a valid category) aren’t hazardous to faith, it could just mean that other influences are reaching them before they get there, which didn’t used to. Christian K-12 education is not a new or rare thing, and Christian college is not about keeping minds in the fold, it is about finding *marriage partners* in the fold. Agellius’ “internet” comment is entirely apt. A conservative Christian K-College funnel may try to shelter and indoctrinate, but the kids are connected and engaged in other communities online. It’s only the homeschoolers who effectively drop out and create their own ideal social world, if they want to. Alt-facts stick mostly with segregated and isolated people.